Should I Mediate My Missouri Family Law Matter? “My Ex is pushing me to go to mediation to resolve our dispute. Should I do it?” This is an increasingly common question for Missouri family law practitioners. The answer to this question can only be reached once you have a clear understanding of the process and whether your circumstances are a good fit for mediation. Mediation is a method in a process that lawyers commonly refer to as “alternative dispute resolution”. It can be used as an alternative method to the traditional litigation process to resolve family law disputes. In this process the parties will sit down with a third person who is trained in mediation to help them find common ground on issues and to reach an agreed upon resolution to their disputes. 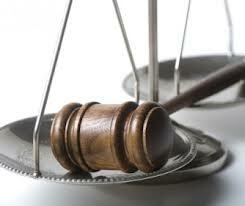 While not mandatory, it is very common in family law that the mediator is also an attorney. During the process, the parties will be guided through an open discussion of each contested issue including division of property (assets), division of debts, custody of children, child support, maintenance and payment of attorney fees. The mediation process is one in which the parties may enter into voluntarily. Or under the rules of the Missouri Supreme Court, mediation may be ordered by the family court Judge on issues of child custody or visitation, at any time. This can be done on the motion of any party to the case or upon the Judge’s own motion. In order to become a mediator in contested child custody matters a person must undergo a minimum of twenty hours of child custody mediation training through a program that is approved by the court. In many cases, a trained mediator can be very beneficial in helping to resolve even high conflict disputes. However in order for the process to work, the parties should be operating on as close to a level playing field as possible. Each party should have sufficient knowledge of the nature and amount of the assets and liabilities accumulated during their marriage. Each party should be operating with an understanding of the principles involved in a legal custody order as well as a physical custody order when dealing with issues of child custody. In addition, each party should have an understanding of the relevant income history of the other party. To encourage open discussion during this process, the Missouri Supreme Court Rules indicate that mediation is in the nature of settlement discussions and is therefore confidential in nature. With limited exceptions, discussions that take place in mediation are not admissible in a court of law. Finally, most mediators agree that there is very little chance for success in situations where there is a history of domestic violence in the relationship. The interpersonal dynamics involved between these parties rarely lend themselves to a successful outcome through mediation. So, if you are considering mediation you should evaluate if the dynamics of the relationship with your ex lend themselves to an open and honest evaluation of your issues. For example if the motivation of one of the participants is to attempt to intimidate the other side into a settlement, then mediation is not right for you. Likewise if you do not have a clear understanding of all of the issues involved in your family law case or do not have a clear understanding of all of the property and debts involved in your divorce, then you should not undergo mediation until you have educated yourself with the help of your lawyer. If you are considering mediation in your Missouri family law matter it is important that you speak with a knowledgeable attorney who can evaluate your situation in the context of a mediation setting and advise you through the process. Douglas Bellon is a certified family law mediator and attorney with a practice focus in the area of family law. Contact our office today for a consultation about your personal situation.